Vibe cufflinks are dynamic and refined. 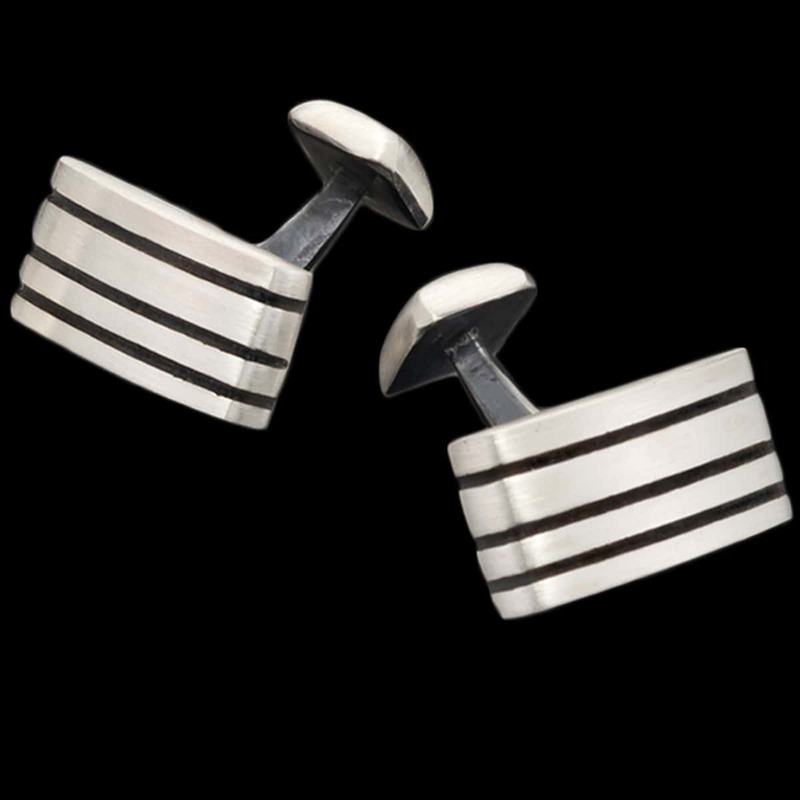 This handsome cufflink design in satin finish sterling silver are accented by oxidized grooves. To purchase, call (949) 715-0953 or use our contact form below.